Qaiser has received his PhD! 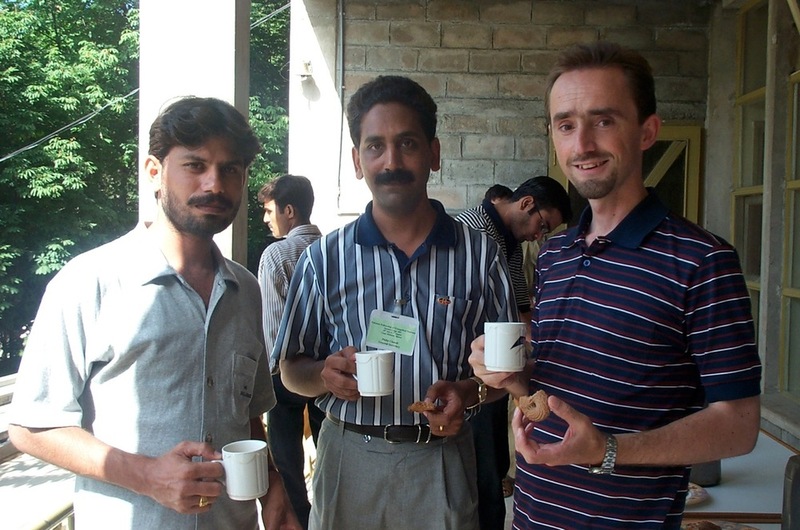 Qaiser (left) with a colleague and CMS missionary Steve Sonneman. In partnership with Langham Preaching, CMS Australia has been supporting Qaiser Julius, from Pakistan, as he has studied for his PhD at Melbourne School of Theology over the last four years. We praise God that Qaiser’s PhD thesis, ‘A comparison, contrast and critique of Ahmadi and Christian responses to persecution in the minority context’, has been accepted! Qaiser will graduate in November 2015, becoming one of the first people in Pakistan to achieve a PhD in Theology. He and his family will be returning to Pakistan in December, where Qaiser will be involved in teaching and equipping church leaders for gospel ministry. As he trains church leaders in Pakistan he will be seeking to help produce deep thinkers and writers who can guide and help Christians to apply God’s word to their lives, particularly in the face of persecution and other difficulties. Pray that God would bear fruit through Qaiser’s teaching ministry as Christians in Pakistan are equipped to share his love with the majority Muslim population.